Someone at work had brought in some cooking apples the other day. On my lunch break, I got the creative itch so I grabbed a bowl and set up a little still life shot. My main light source was natural light coming in from a window on camera left. Apple iPhone 4. All images © Matt Bennett Photography. 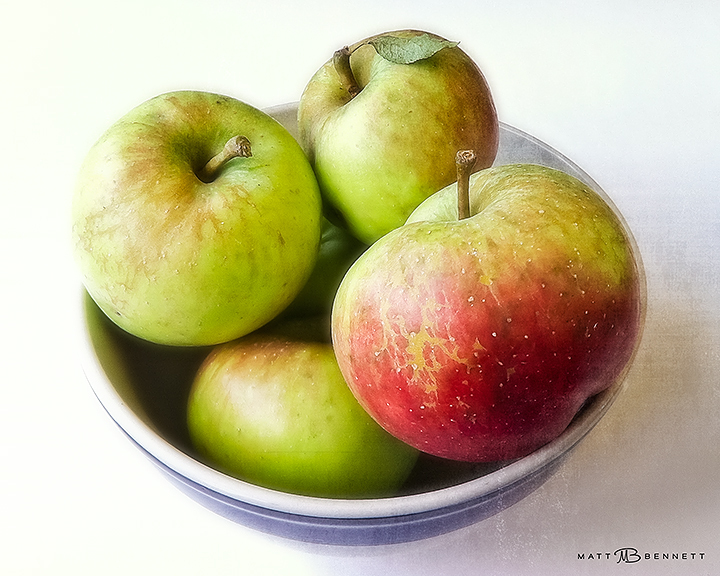 This entry was posted in Just for fun, Still life by Matt Bennett. Bookmark the permalink.